Holidays are a special time for friends, family and happy memories. However, those joyful moments can also be quite stressful – from marathon shopping, travelling and preparing for celebrations. Stress and other stimuli can therefore increase or trigger headaches. Primary – Caused by structures sensitisation within your brain associated structures (this includes tension-type headaches, migraine and cervicogenic headache). Secondary – Symptoms are caused by another condition: ie, Dehydration,Concussion, Infection or Alcohol-induced headaches. Try not to miss or skip meals when spending long hours shopping, cleaning or cooking in preparation for celebrations. If you cannot stop to have a regular meal, you should pack nutritious snacks that you can take with you while you are on the go. 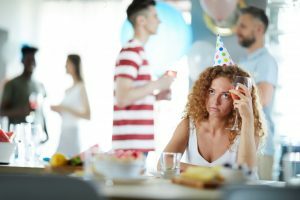 Late night parties often play havoc with your health and particularly impact those with migraine and chronic headaches. Try going to sleep and waking up at the same time daily. Do not skimp on your sleep – ensure you get your usual amount of sleep (eight hours would be perfect). Offerings at holiday parties always look delicious, but they may contain foods that are known to trigger headaches like processed meats, chocolate and ripened cheese. If you are sensitive, you should should monitor your intake of caffeine and limit or avoid tea, coffee and soft drink. You should sip your drink slowly if you have decided to enjoy that festive cocktail. Mixed drinks that contain vegetable or fruit choices have less negative effects when compared to straight alcohol. If you suffering from migraines, red wine is known to be a culprit, instead, take a glass of white wine. Physiotherapists are highly trained to manage headaches and work in close liaison with endocrinologists, rheumatologists, ear nose and throat (ENT) specialists, psychologists, dentists, neurologists and doctors. Due to the wide range of possible causes of headaches, the most critical skills are in distinctive diagnosis. It’s important that your physiotherapist accurately identify the headaches that are going to respond well to physiotherapy or when it’s necessary that they refer you on to further investigation or opinion. Your neck can influence migraine and headaches. When it is sensitised and stiff, the top three joints in your neck can end up referring pain to your head. • If it starts in the shoulder and progresses to the head. • If it’s aggravated by sustained neck postures (driving, sitting and computer use). • If it shifts sides between episodes or is one-sided. After identifying the area of your neck that’s responsible for your headache, physiotherapy will use mobilisation techniques and specific exercises to desensitise and reduce the symptoms. Muscle strengthening, postural awareness, fitness and education concerning self-management options are essential. 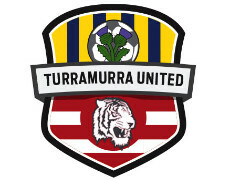 Speak to the team at Turramurra Sports & Spinal Physiotherapy to see how we can assist.